Finding Aid of the North Carolina Department of Natural and Economic Resourses Recreation CommissionMARS ID 85.6. 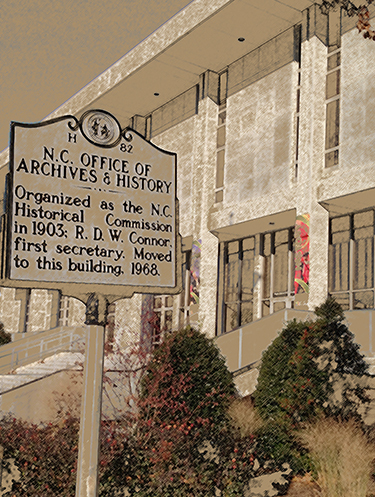 Since its inception in June 1943, the Recreation Commission has provided for the recreational needs of the state, maintained a clearinghouse of recreational ideas, and provided consulting services for recreation opportunities throughout North Carolina. Contains correspondence, reports, agendas, photographs, news clippings, minutes, biographical sketches of commission members and other materials pertaining to commission activities from 1944 to 1980. The series is arranged alphabetically by subject and then chronologically. The Correspondence subseries is arranged alphabetically by last name of correspondent and then chronologically. Processed by David Chiswell 2012 September. Transferred from the agency to the State Record Center 1974 August. , which attest to the role of the commission in providing for the recreational needs of the State. Minutes and Agenda, November 1944- April 1974 are on microfilm Call Number S101.N and available in the microfilm room. Commission Correspondence: Andrews, Ralph J. Commission Correspondence: Erwin, Dr. Clyde A. Commission Correpsondence: Hinkle, Donald G.
Commission Correspondence: Hubbard, Reverend Charles S.
Commission Correspondence: Kennedy, W. J. Commission Correspondence: McCullers, Charles L.
Commission Correspondence: McMillan, R. L.
Commission Correspondence: Meyer, Dr. Harold D.
Commission Correspondence: Newitt, John G.
Commission Correspondence: Parrish, Max A. Commission Correspondence: Pointer, Jack L.
Commission Correspondence: Stevens, James S,. Jr.
Commission Correspondence: Tippett, Wallace C.
Commission Correspondence: West, William L., Jr.
Commission Correspondence: Woodhouse, Edwin W.